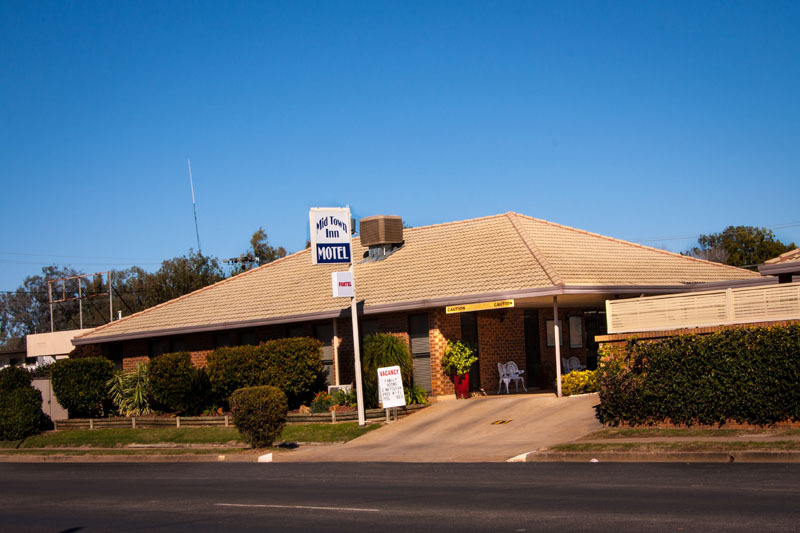 The Mid Town Inn can be found off the busy Newell Highway in a quiet and secure location at 41 Maitland St. Narrabri. Opposite the police station, Courthouse and Council Chambers in the main street of Narrabri. The motel is only a short walk to the shopping centre. Several restaurants are only a short stroll from the motel approx 200-300mts. For your convenience.